I highly recommend you get reliable web hosting so you can have a website home for your podcast. But don't host your podcast media here (see “Podcast media hosting recommendations”). I’ve been impressed with the performance and features of SiteGround’s hosting service. Their servers are nicely designed for WordPress—all plans are hosted on lightweight Linux containers with SSD and the latest software trends like NGINX, PHP7 and HTTP/2. They even have their own WordPress caching plugin, which gave excellent results and fast load times. For scalability, SiteGround’s cloud plans allow automatic resource scaling, without causing downtime. This is great if you experience traffic spikes and don’t want to compromise with your website’s performance. SiteGround is not owned by EIG, so you won't see the bargain pricing and poor reliability like you see with other providers (such as BlueHost or HostGator), but I think you'll get much better service! Liquid Web offers fully managed hosting for high-end needs. 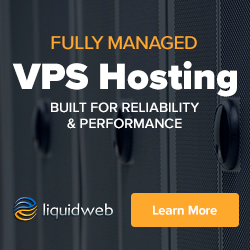 Equipped with pure SSD storage on both virtual private servers (VPS) and dedicated servers, Liquid Web also offers some great performance addons. 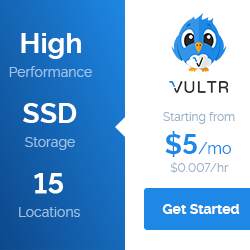 If you enjoy running your own server, managing your own stack, and working with scaleable, custom gear, then Vultr is for you! It's easy to start up an instance for different locations, and upgrade anytime. This is where you should host your podcast media, so that you're not overloading your website server (or violating terms of service). If you're running a WordPress website, Blubrry's hosting integrates seamlessly with PowerPress—the #1 podcasting plugin for WordPress. Regardless of where you host your website (or the CMS you use), Libsyn provides a stable RSS feed with your media, in addition to automatic crossposting to other platforms. Want podcasting to be as simply as pressing record, stop, and publish? Spreaker gives you the tools to record from your computer or mobile device and distribute from their powerful publishing platform. Whether you're reserving a domain for your awesome idea, or you want to secure your existing website, Namecheap's options are versatile and affordable!